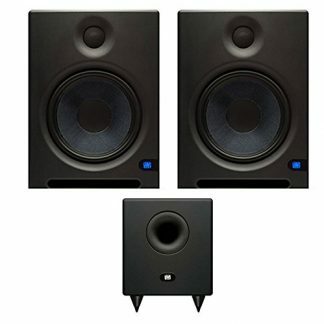 For music production, post and broadcast, JBL 705P active studio monitors make it easier to achieve a superior monitoring experience in your studio. 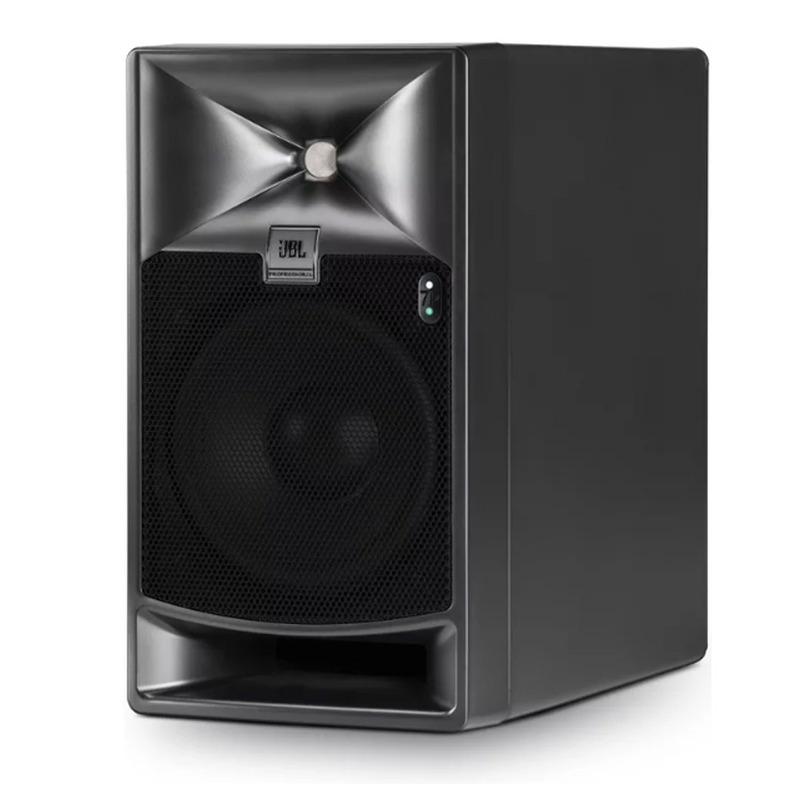 Thanks to JBL’s acclaimed Image Control Waveguide (found on their flagship M2 reference monitor), 705P monitors project an amazingly large “sweet spot” for sonic accuracy throughout your mixing space. The soundstage is deep and wide, with ample output that competes with much larger speakers. With built-in DSP for advanced equalization and delay options, and your choice of analog or digital input, the JBL 705P is an outstanding solution for nearfield and midfield monitoring. JBL’s bi-amplified 705P studio monitor employs two custom drivers, the 2409H high-frequency compression driver, and the 725G low-frequency driver. 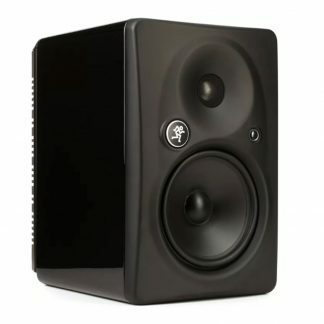 Each was designed specifically by JBL for optimal dynamic range and low distortion in their relative frequency ranges. Between them, you’ll hear remarkably linear output from below 39Hz all the way up. 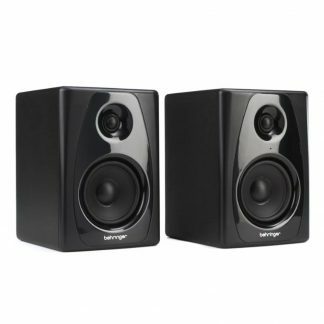 Another benefit of these drivers is their impressive volume handling: JBL reports the 705P offers two to three times the output of comparable studio monitors. To get the best results from their custom drivers, JBL designed a powerful Class D amplification system for the 705P studio monitor. A 250-watt amp powers the 2409H high-frequency transducer, while an additional 250-watt amp drives the 725G low-frequency transducer. This system allows the 705P to deliver much more output than similar-sized speakers, allowing you to place it at greater distances in post production or mastering environments. If the 705P’s design looks familiar, it’s because it’s equipped with the same waveguide as their flagship M2 reference monitoring system. Designed for sonic accuracy and neutrality, this waveguide also allows for a better sonic transition between the high- and low-frequency drivers. Said another way, you won’t hear a noticeable dip in the crossover frequency range like you do with many two-way monitors. The waveguide also creates an exceptionally large sonic sweet spot, allowing for accurate monitoring throughout more of your control room. We’ve heard a lot of studio monitors at Sweetwater, and we’re extremely impressed with the sound of the JBL 705P. In an acoustically perfect room, JBL’s 705P monitor sounds remarkably neutral. For the real world, however, the 705P is equipped with DSP-based EQ to compensate for room acoustics. Fine tune your sound with the 12-band Room EQ, or use the 8-band User EQ for a customized response curve — perfect for compensating for screen loss when placed behind a perforated cinema screen. In larger spaces you can use digital delay to align speakers relative to your listening position. Additional AV Synchronization delay is ready to compensate for high-latency video displays.